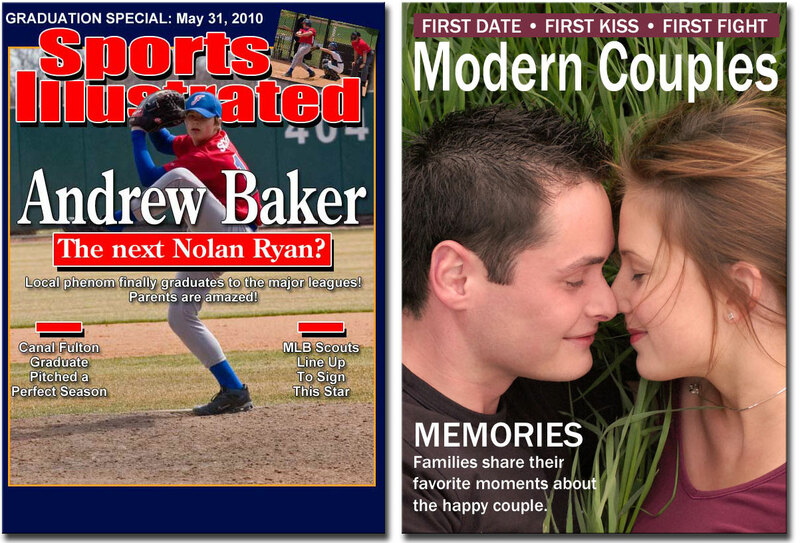 Spoof design featuring you or your loved one on the cover of their favorite magazine. 8x10 format. 12x18 poster design. Simple design, photo collage or a poster depicting you or your loved one in their favorite movie. Glass mug or stemware with the name, date and logo design or initial monogram. Styles shown are for display purposes only. e-mail, IM, Myspace, Facebook and Twitter addresses. Standard deck of 52 playing cards. Image on the card back customized to your description. Can feature name and custom monogram logo. Single or double sided. 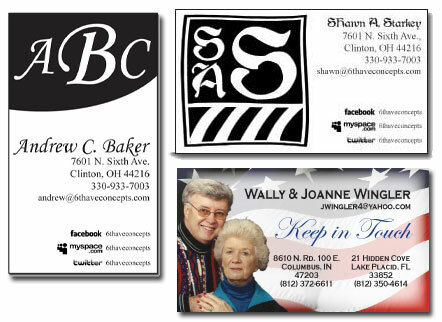 RSVP Cards can be mailed through US Postal Service. Invitations designed using your own family photos. 10% OFF when ordering a package of 3 items. 15% OFF when ordering all 7.All of our designs are "family friendly." Please view our submission guidelines for a full disclaimer and explaination before ordering.